The best purchase I’ve made in a while. Yay, my first PERSONAL photograph. I promise the rest will be better quality – this was just spontaneously taken on my iPhone. Compliments to Jeffrey Campbell (as always) and Stella-Mae (the most fabulous boutique in Burlington, that I have the honor of working at). This style is called Virgo. Today is the first day I wore them around town and they’ve already broken in. 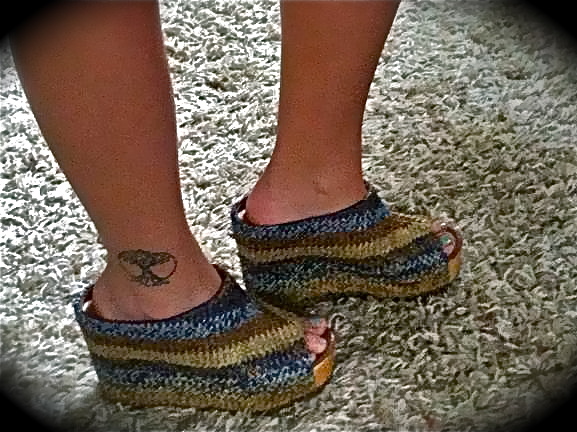 Trust me, I don’t strut around in sky high heels, wedges, platforms, whatever, unless they are pain-free . This is something Jeffrey has mastered – style without compromising comfort. I’ll say it again, A Woman with Good Shoes is Never Ugly. This entry was posted in Accessories, Bohemian, Clothing, Fashion, shoes, spring 2012, Style, Trends, Uncategorized and tagged fashion, jeffrey campbell, personal pictures, shoes, spring 2012, trends, virgo by cea green. Bookmark the permalink. Agreed 🙂 No matter how frumpy I’m feeling, if I’ve got on a good pair of shoes, I’m set!